HernÃ¡n Terreni is the author of the well-known & publicized Mechanical Manual. Previously working as a qualified bicycle technician for companies like Raleigh, Giant, KHS and Pro Flex, Hernán Terreni noticed the constant demand and need for customers to receive a professional after-sale service in order to achieve the best possible performance of their bicycles. With this in mind, he opened TERRABIKES in Estepona, specializing in the repair and maintenance of High Performance Road Bikes and Mountain Bikes, offering a personalised service in regulation and adjustment of transmission systems, at the same time providing all types of bicycle mechanical services, sale of spare parts, accessories and specialized equipment for the road and mountain bike cyclist and of course bicycles. 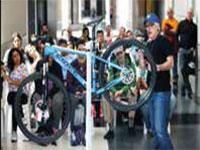 A guaranteed quality bicycle sale & repair service. 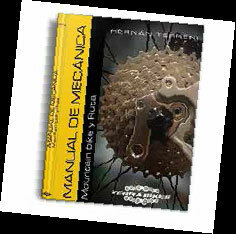 Hernán Terreni is the author of the well-known & publicized Mechanical Manual.